Sunny side up at Number 31 - CHOMP! SLURRP! BURP! After much acclamation to Number 8, Number 31 is the newest and uber exquisite addition. 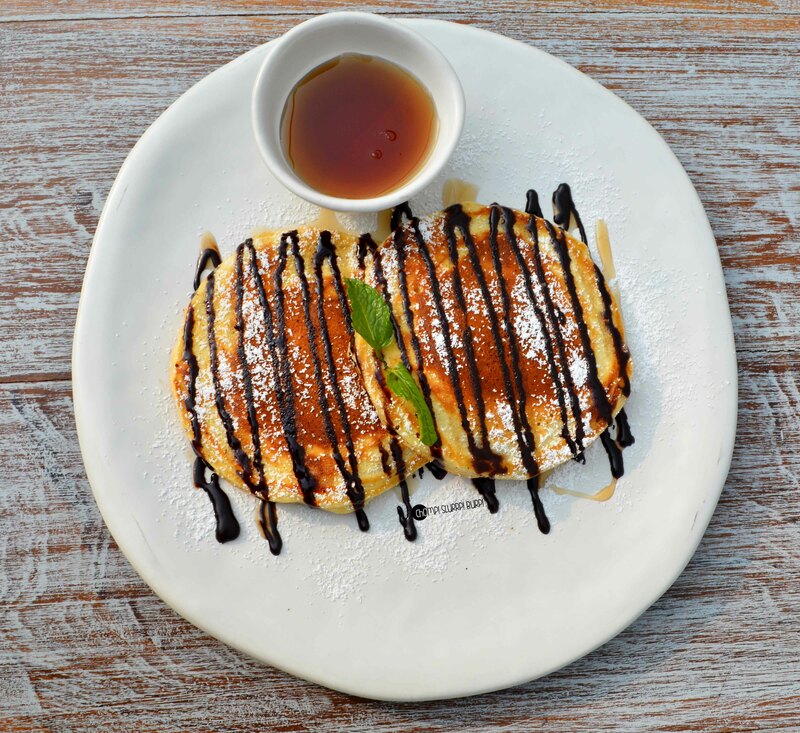 The picturesque cafe is spread over three floors including a drop-dead gorgeous rooftop and is the fist of its kind breakfast, dimsum and sushi bar. The tastefully done interiors emit a rustic, French cafe charm with hanging flowers, white textures, grand windows and minimal wall adorns. The star of the cafe is undoubtedly is absolutely ravishing – divided by levels, giving privacy to each table, the terrace has a beautiful green-house kind of feel making you enjoy the Sun during the chilly weather. 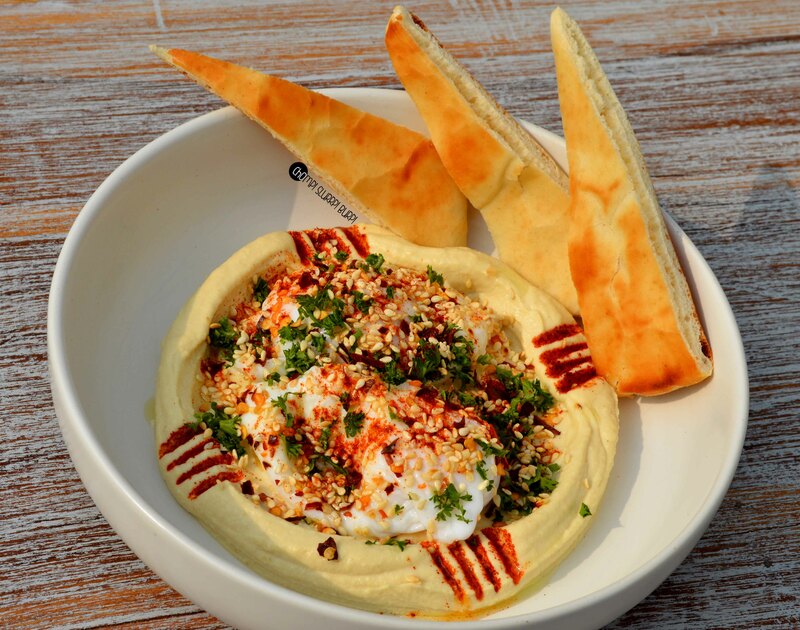 We started with one of their signature and mind boggling – poached eggs in hummus – the preparation is exemplary and very unique – a thick fresh hummus with tahini with two fresh poached eggs and served with a side of pita bread. This was insane! The poached eggs were perfectly done and the hummus was one of the best and what makes this dish even more intriguing is its novelty. The Savory waffles were customized to sans bananas – crispy on the outside and super soft inside, topped with candied bacon, maple syrup and whipped cream. The waffles were done with a tantalizing vigour and were absolutely delish. The Teppanyaki burger comes with a side of fries, a sunny side up, a juicy tenderloin patty grilled on a teppanyaki grill with cheddar cheese, rocket leaves and thinly sliced tomatoes held together in a sesame seed bun. This was one of the juiciest tenderloin patties with the runny egg perfectly complimenting the assemblage. The sushi was flawless – we tried the dragon roll and the EBI tempura – served majestically with with works of gari and wasabi – the sushi was so gorgeously wrapped with just the right amount a mayo here and crunchiness there. Dimsum – Prawn Har Gao, Steamed pork wontons with sichuan chilli sauce, 5 spice lamb gyoza with crispy lattice and pumpkin, goat cheese and asparagus crisp roll. Each with a distinct taste, made with the finest meats, their prawn har gao is a must have with its transparent skin and freshly minced prawn. The crispy lamb gyoza with their most distinct flavor of fresh 5 spice or the steamed wontons dipped in the hot Sichuan sauce – each dimsum is crafted with an appetizing valor. The goat cheese and asparagus is a great choice if you, unlike us have acquired the taste for the cheese – pop it whole and watch the crispiness melt to a beautiful cheesiness. We washed it all down with the fabulous mocktails (they haven’t got their liquor license yet) and killer shakes. We tried the Asian garden and Fairy green – each with such balancing flavors and pretty refreshing for a sunny day. 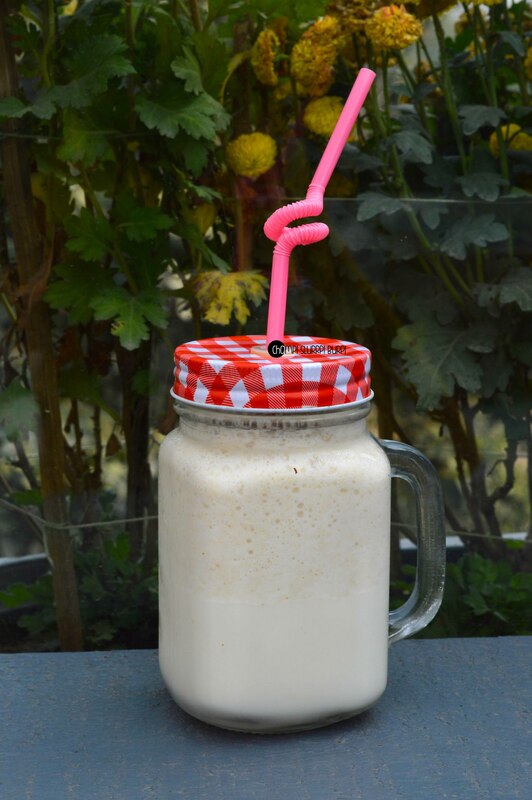 We also tried their Caramel cookie shake – served in a classic mason jar, this was a tad on the sweeter side for my palate and possibly the only thing that I found remotely erring. 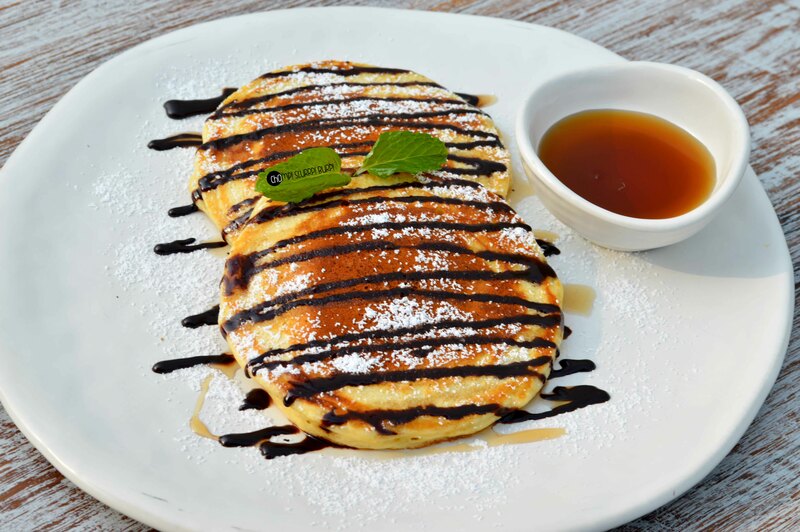 We wound up this meal with a round of stuffed nutella pancakes – unlike the common drizzled with nutella, this batch was stuffed with the chocolate-hazelnutty wonder and topped with dark chocolate sauce and duster with sugar. Oh boy. Was this an explosive end to a fabulous spread. Visit Number 31 to be awestruck by their charming interiors and the magic they create in their kitchen. Oh, and they are more than happy to customize their meal for you to suit your whims!